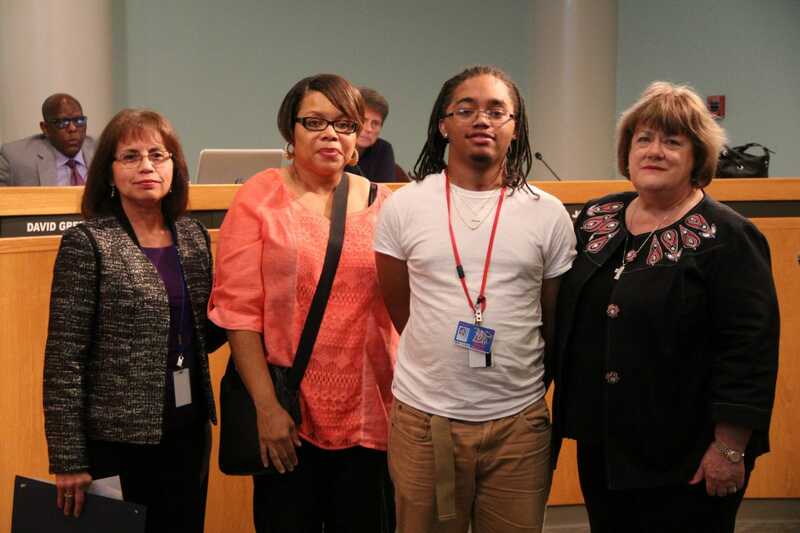 Sherithia Smith was honored at a recent Duncanville City Council Meeting for her Domestic Violence Awareness Efforts. From left , Connie Bergara Duncanville Police Crime Victim Advocate, Sheritha Smith, Storm Malone (Sheritha’s Nephew) and City Councilwoman District 5 Johnette Jameson. 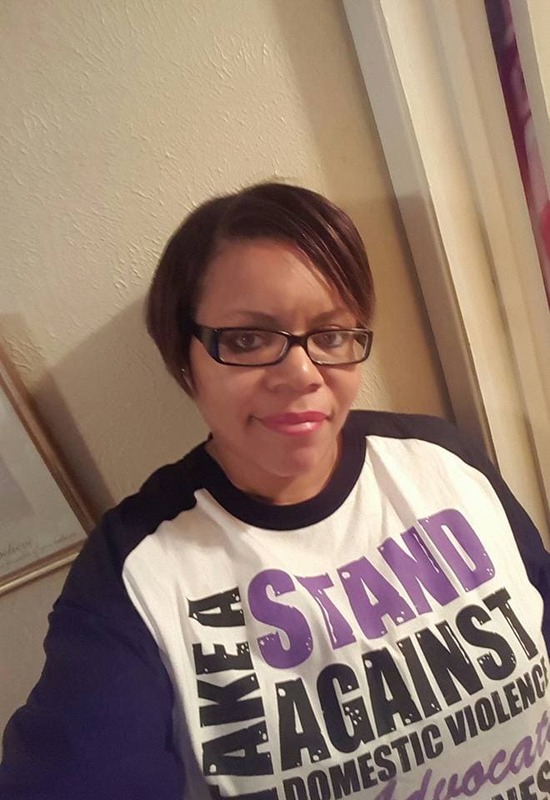 DUNCANVILLE—Sheritha Smith will never forget the effect that domestic violence can have when it rears its ugly head. Smith and her children have experienced it firsthand. On August 7, 2013 her sister, Toya Smith and her niece, Tasmia Smith, were murdered by someone they both knew. In August 2013, DeSoto Police confirmed that Erbie Bowser, 44, was looking for his ex-girlfriend when he walked into her southwest Dallas home and shot four people. According to reports, Bowser forced his way into the home in the 7100 block of Long Canyon Trail and opened fire. Toya Smith, 43, and her 17-year-old daughter, Tasmia Allen died at the scene. Two others, Smith’s 14-year-old son and a 17-year-old family friend, were taken to Parkland Hospital and Dallas Methodist Central Hospital. Bowser then traveled south to DeSoto where his estranged wife Zina lived with her four children. Reports say he tossed in an explosive. After it detonated, he entered the home where he shot Zina, her daughter and her two boys, ages 11 and 13, before he ran out of bullets. DeSoto police said they were contacted about 10:45 p.m. after Dallas police linked the suspect to the home in the 100 block of Galleria Drive. Almost simultaneously, police said, they received a 9-1-1 call from a child at the home who described what was happening inside. When DeSoto officers arrived, Bowser pretended to be among the victims. Officers quickly determined he was their suspect and took him into custody. Officers also confiscated a pocket knife from him. Reports say he seemed catatonic, giving only his name, military rank and serial number. Army officials confirmed that Bowser served from October 1991 to November 2000, rising to the rank of staff sergeant. Erbie Bowser was previously arrested in December 2011 for violating a protective order and evading arrest. Records also show he was arrested on a charge of aggravated assault with a deadly weapon. Since that time Smith has become an advocate against domestic violence. Her goal is to take every opportunity provided to bring awareness and promote prevention against what she calls “an epidemic.” During a recent Duncanville City Council Meeting, council members acknowledged Smith and proclaimed October as Domestic Violence Awareness Month. Smith also took part in this past week’s National Night Out event where she distributed domestic violence information including resources and statistics. She also passed out purple ribbons in honor of her sister and niece. One in three women will experience domestic violence in their lifetime. Last year 15,000 adults sought shelter from an abusive situation, but Smith said many are turned away, which indicates a major part of the problem. “There were 158 women murdered in Texas and the numbers have been on the rise constantly each year,” Smith said adding in 2013, the year her sister was murdered, there were 142 killed. Duncanville Police Spokesperson Doug Sisk touted “Raising awareness through education, is an important tool in eliminating domestic violence in our community.” Sisk added that victims need to understand domestic violence is a crime and they are not alone. 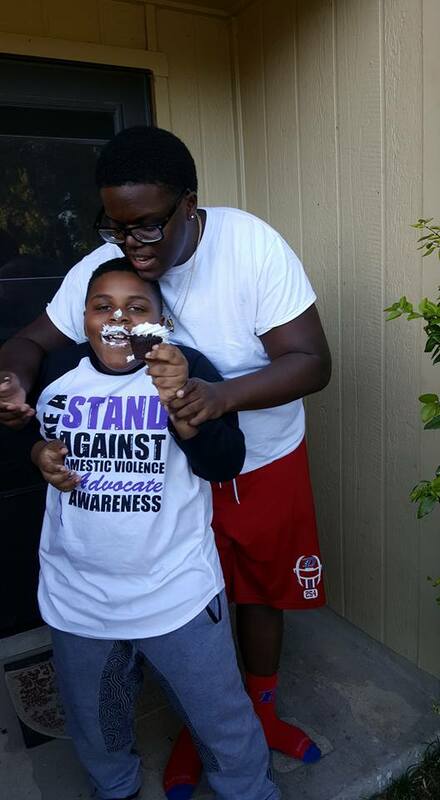 Devin and Devvon Smith are currently enrolled and progressing well in Duncanville ISD. Smith said the boys are older now, when the event happened Devante (the oldest) had just registered for his senior year at Duncanville High School. He is now in his second year of College at Lamar University in Beaumont, Texas. Devin (the middle) was in the eighth grade at Kennemer Middle School and he is now a junior at Duncanville High School where he plays football. Devvon (the youngest) was a few weeks from beginning kindergarten when the murders occurred and he is now a third grader. “They are your typical teenagers, of course and I just try to keep them busy and involved in positivity because so much of their innocence was stolen during this tragedy,” Smith said. Joshua C. Johnson contributed to this story.